I received a product in exchange for my honest review. All thoughts and opinions are 100 percent my own. While everyone else is happy for snowy winter nights by the fire, Christmas decorations, and being snowed in, I, the stresser extraordinare, worry the entire time. I worry about getting snowed in, I worry about losing power, I worry about being cold, and I worry about all of our devices going dead and not having a way to get in touch with people, or to call for help. I guess it is my always pessimistic or worrisome nature, but I am always thinking about the what if's? 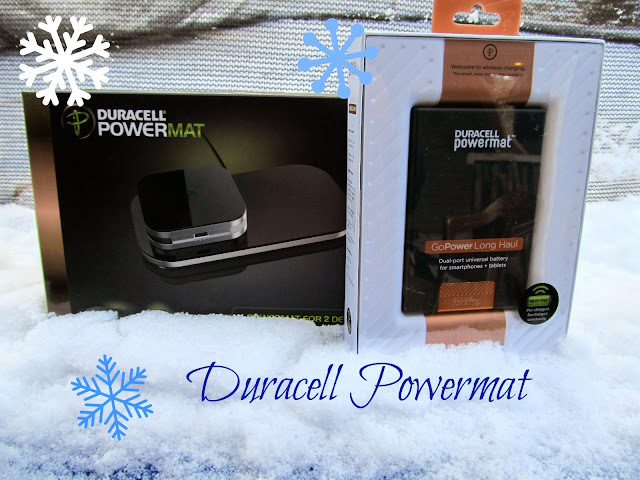 Now that we have the Duracell Powermat on our side, I am beginning to feel a lot better about the winter months! The Powermat is an awesome new technology that allows you to charge your cell phone, tablet, or other mobile device wirelessly, by simply placing it on the small mat. Another really cool thing about the Powermat is that it comes with a backup battery that you can take along with you for when you will be away from an outlet. 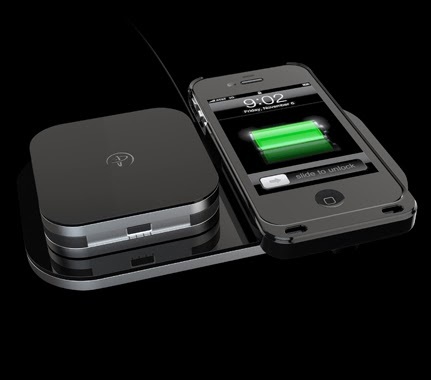 You can even charge the backup battery by placing it directly on the Powermat, and you can use it when you are really in an emergency situation that you need to charge your device! We also received the Long Haul Battery for review! This thing is awesome. You can charge the Long Haul Battery directly on the Powermat as well. Once it's charged, just take the Long Haul battery with you. You can leave it in your glove box, your desk at work, or anywhere else that you might possibly need an emergency charger. I love this product, and it goes a long way to give me a little extra peace of mind! Keep an eye out as well, because Duracell is even installing Powermats in public places like malls, Starbucks, McDonald's, and event venues like Madison Square Garden so people and quickly and easily charge their devices in public! We should never have to deal with a dead battery again! 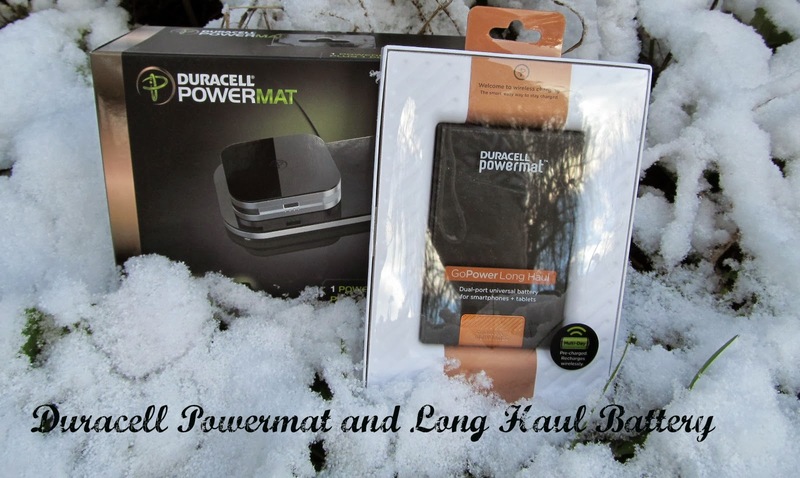 Make sure to follow Powermat on Facebook and Twitter for the latest news, updates and promotions on their great products!